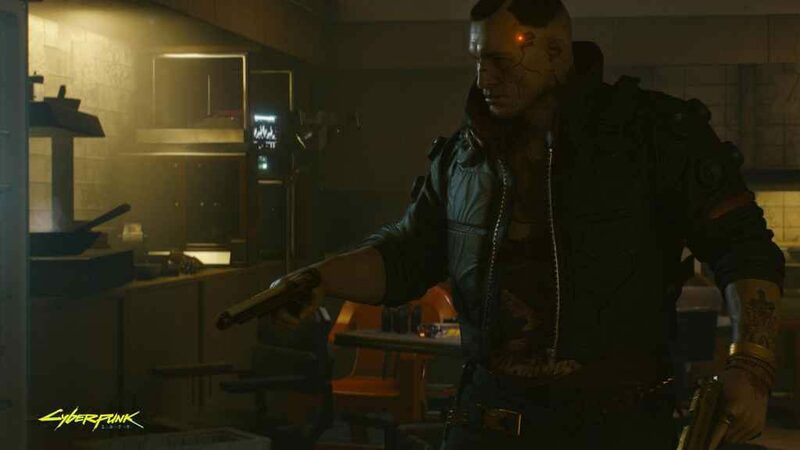 In a recent interview with German website GameStar, CD Projekt Red quest designer Philipp Webber revealed that the only time players will see a game over screen in Cyberpunk 2077 is when they die. In other words, no matter how many of the objectives they fail in any given mission, the story will continue uninterrupted. This, according to Webber, was a conscious decision borne of a single overarching question: “What is the stupidest thing that the player could do?” By asking itself this rather unusual question, the development team could prepare for and accommodate all types of player behaviour, no matter how unconventional. How this works in practice, to use the example given by Webber, is that, should a mission-critical NPC die during a particular quest – perhaps as a result of the player abandoning him/her in order to grab a burger – only the mission, not the game itself, will end in failure. It’s an interesting idea that not only eliminates the threat of becoming stuck on a particularly tricky mission, but also increases the significance of the player’s in-game actions at any given point. We’ve all been guilty of digressing from our primary objective in order to satisfy our curiosity; perhaps we’ll think twice in Cyberpunk. Perhaps we’ll see this rather intriguing approach to mission design in action at E3 2019. We already know Cyberpunk 2077 will appear in some capacity at this year’s event and given that release day is still a long way off, according to reports from last year, a brand-spanking-new gameplay demo would be just the ticket to rekindle our excitement and keep us warm during the months (perhaps years) of waiting that lie ahead of us. Actually this is the ultimate punishment for someone like me. Being forced to continue even after botching an objective will be torture for my inner perfectionist.